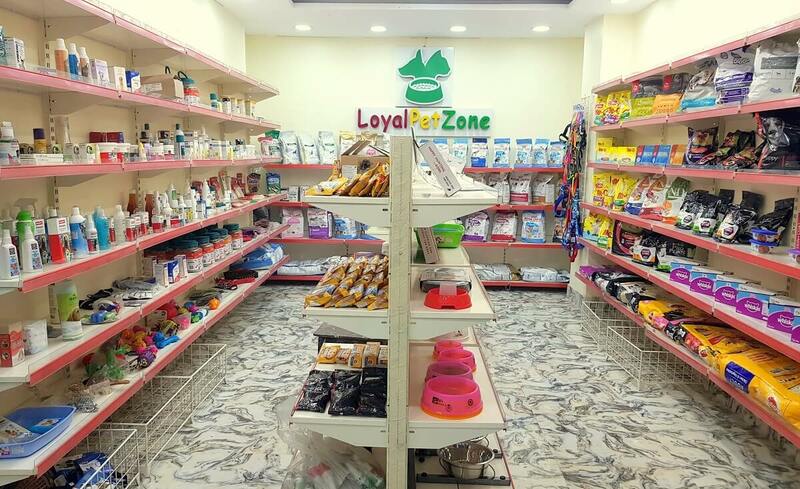 We are authorized resellers of Royal Canin, Drools, Beaphar ,Choostix, Hill’s, Trixie(Germany), Biogroom, Flexi(Germany) , Petkin(USA), Rena(Thailand), N&D Farmina, Smartheart, Me-O, Canine Creek, Tropiclean, Scientific Remedies, Purina, Andis, Orijen, Acana, Virbac, Zoetis(USA), Zydus, Alembic, Intas, Vivaldis, Cipla, Intervet(MSD), Vet Mankind, Petcare, Rex, Versele Laga, Dognjoy, Cellpet, Bayer, Goodies, Gnawlers, Jerhigh, Savavet, Sihil Pharma, Little Big Paw, Pedigree, Whiskas, Himalaya, Savavet, Nobivac, Sky EC, PGpet, Indian Immunological, Venkys, TTK Healthcare, Vetoquinol, Arden Grange, Vitapol, Venttura and a lot more indigenous as well as imported pet products and accessories in India. We are constantly committed to providing you the best available food, treats, collars, cages, medicines, supplements, vaccines and other veterinary supplies for your pets right up to your doorstep at affordable prices. With more than 6 years experience in the offline pet industry, we are funded by like-minded proud Indian pet owners with the vision of making pet ownership comfortable and hassle-free for everyone. For us, pets are not merely a source of income, but an integral part of our life. Being pet owners in India for years before endeavoring in this business, we know very well what their needs are and the difficulties faced by them in course of pet ownership. We make sure pet owners in India get pet food, accessories and daily fixes from the comfort of their homes throughout India without having to compromise over quality because all pet food products, medicines and accessories we sell have recent manufacture date with bar-coded tags ensuring they are fresh, genuine and up to the mark. We know what pet parents desire and strive hard to satisfy them/their pooches to the fullest extent. All the imported brands we sell are sourced directly or via trusted importers and come with import permit numbers ensuring their genuinity. Apart from selling online through our own website, app and multiple eCommerce marketplaces like Amazon and Flipkart, we have offline stores in Howrah and Kolkata, WB as well. We also reward our returning/regular customers generously by providing extra discounts and freebies. 226, Mahendra Bhattacherjee Road, Howrah – 711104. We deliver anywhere in India through our multiple courier partners. We try to keep ourselves available 24*7 throughout the year even on national holidays. Pet owners can use the chat/message option at the bottom right corner of this page to reach us quickly for any help regarding their pets, not just for buying something.